List is open to FP White, FP Green, FP Red, FP BLACK, BBK Series, HKS 7460R, ATP turbos, MAP EF Series, ATP Turbos (Australia), Extreme Tuners Turbos Powered Cars ONLY!! Time slip or at least break down of the time slip is required!!! 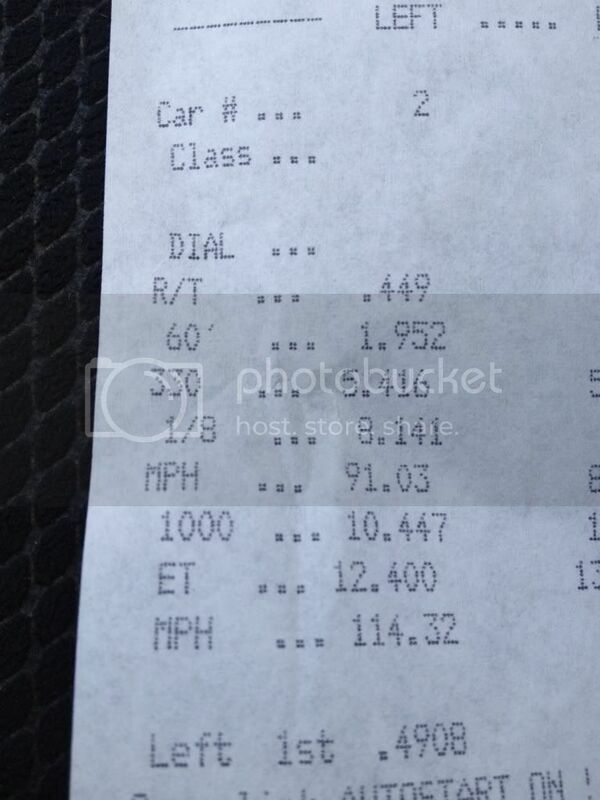 All passes must be to the 100th in both MPH and ET (ex 10.03 ET or 123.55 MPH) but to the thousandth would be ideal. Last edited by 06MREvo; Jul 10, 2013 at 05:59 AM. Last edited by 06MREvo; Jan 15, 2014 at 06:48 AM. Also congrats to everyone on the list last year!! 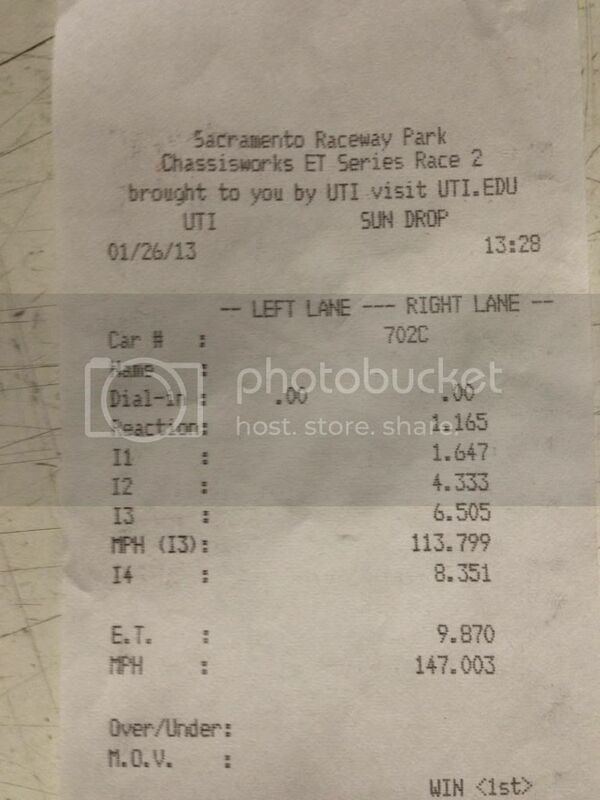 Emery @ STM went the quickest with a 9.436ET @ 147.01MPH....This was on STOCK BLOCK TOO!! Nice job guys!!! Good Luck to everyone this year!! Last edited by 06MREvo; Feb 1, 2013 at 12:27 PM. Guess I'll toss in here first. 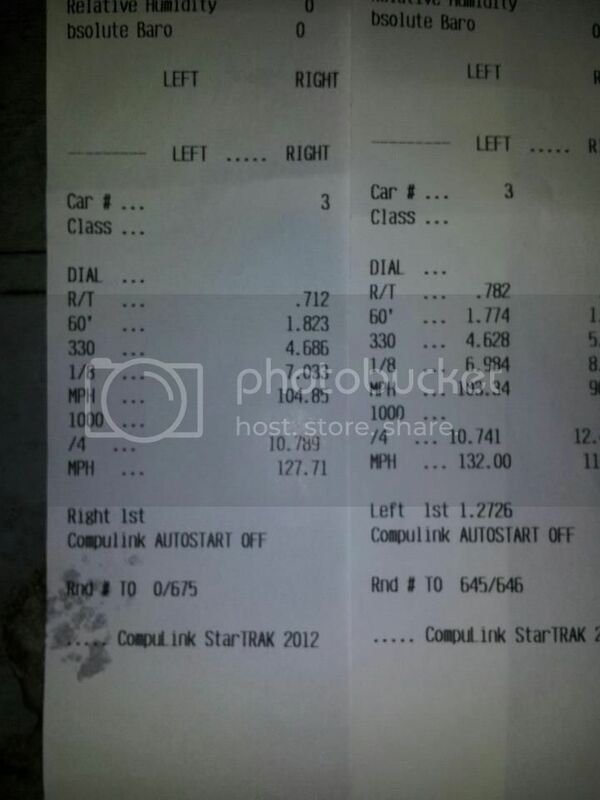 Gotwheelhop / 1-24-13 / Evo 8 / 2.3 stroker, FP BLACK, English Racing tune, 29psi / ET 11.743 w 2.0 60ft. Last year my best pass was 11.0. 10s this year or bust! Last edited by silthos; Feb 2, 2013 at 07:00 AM. Damn a bunch of you guys hit the track already, nice! flyin_banana...when we gonna see some 9.5s?! Top 2 fastest are LY's for the moment.